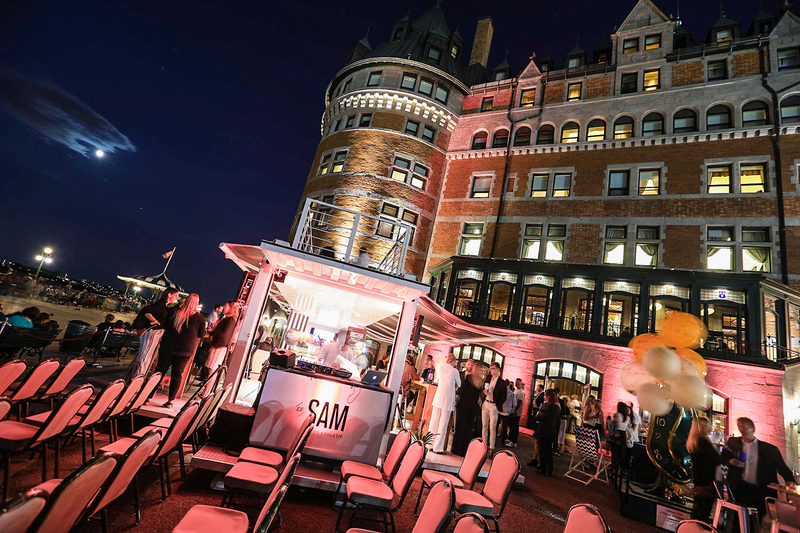 Sam Bistro took its ambience outside for the Grand Feux Loto Quebec fireworks festival. 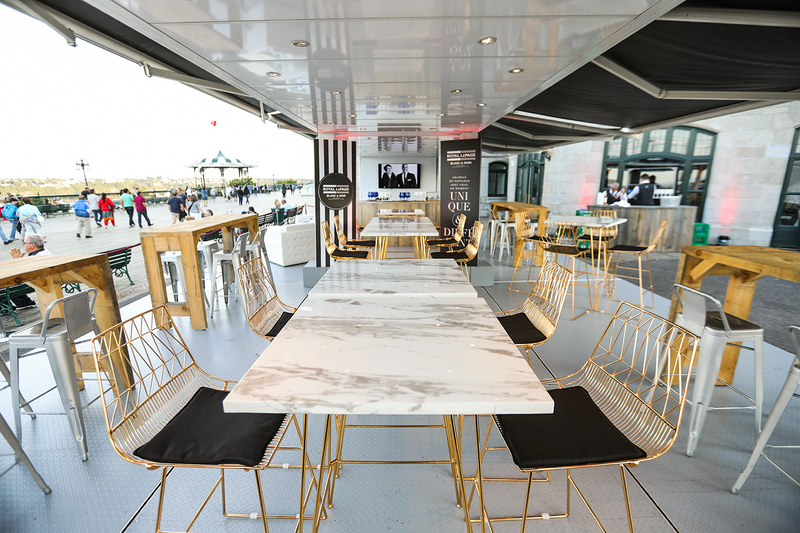 Mobility can also mean moving a store or a business - or in this case a restaurant - just a few feet if the goal is to get outdoors or create a special ambience.That was the case when Sam Bistro in Quebec City’s historic Château Frontenac decided to create a pop-up Mobile Bar adjacent to the hotel on Dufferin Terrace on the occasion of the Grand Feux Loto Quebec fireworks festival. 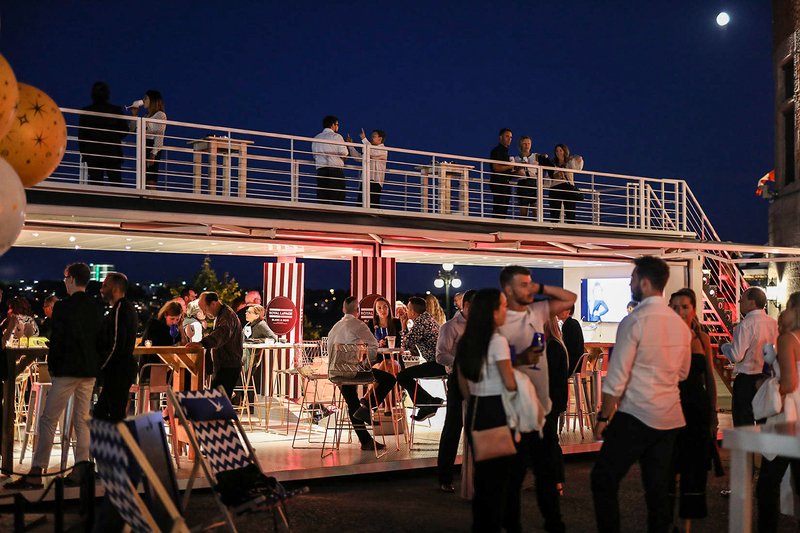 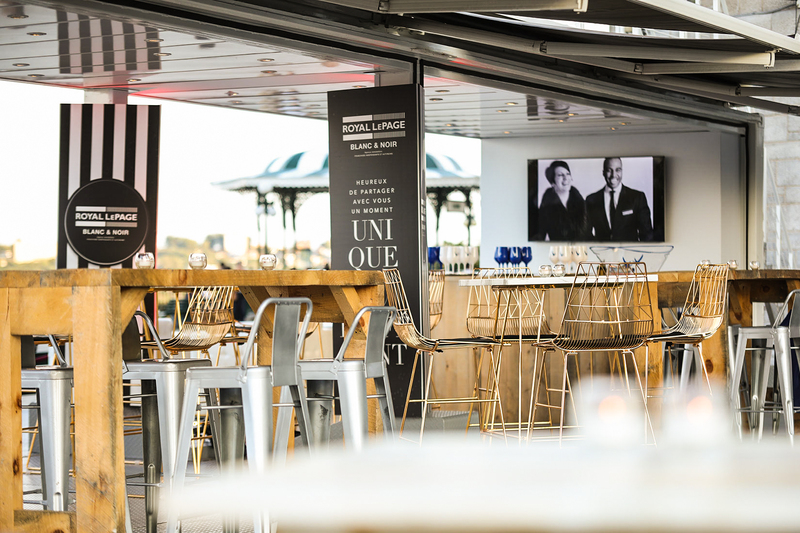 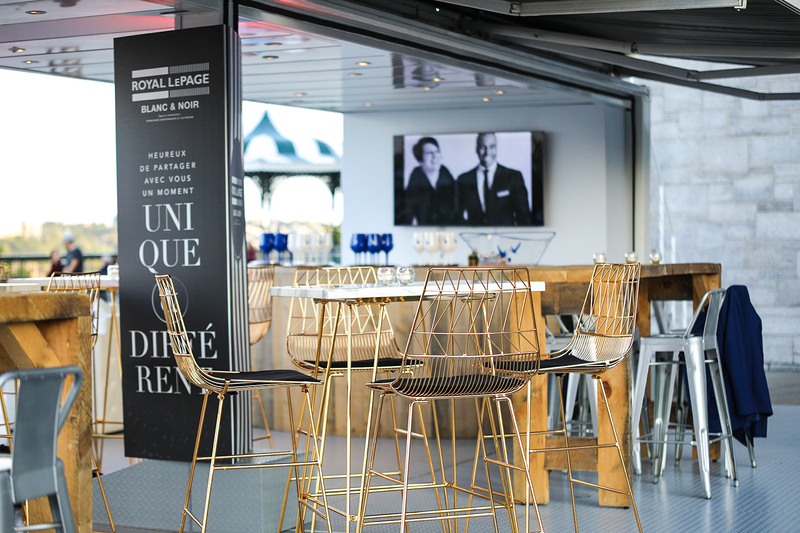 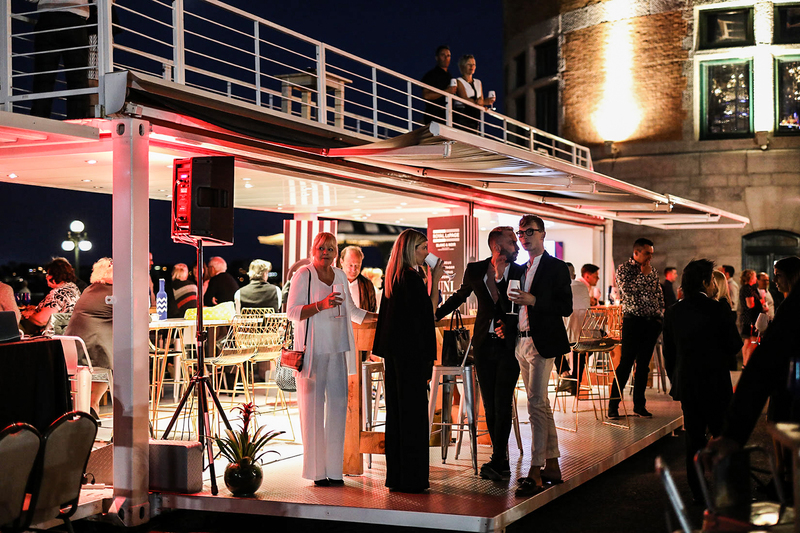 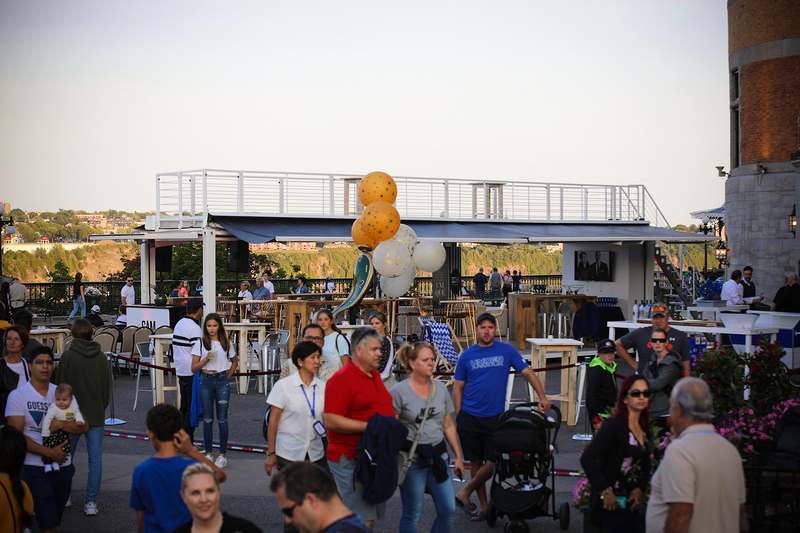 The luxurious bistro and lounge took its ambience and furnishings outdoors with the help of a BB40 mobile restaurant created by Loki Box Design. 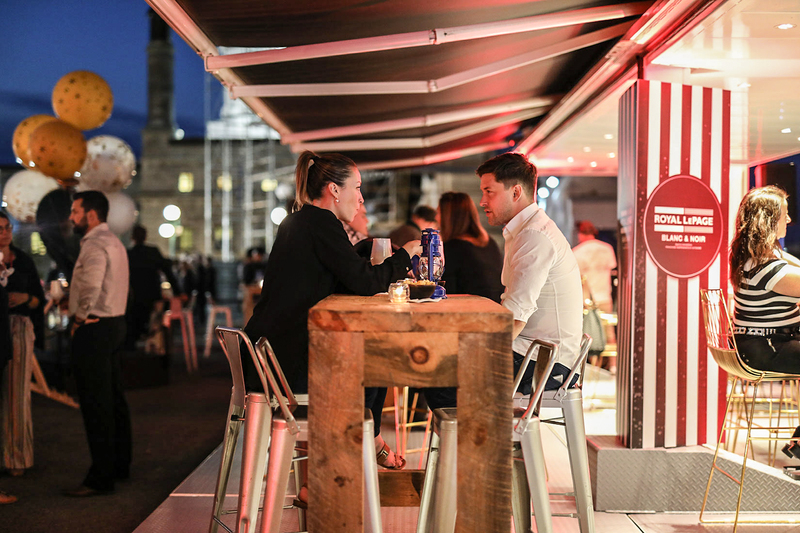 The BB40 pop-up container restaurant, open to the air on its two long sides, created a long, beautifully lit seating area under its roof. 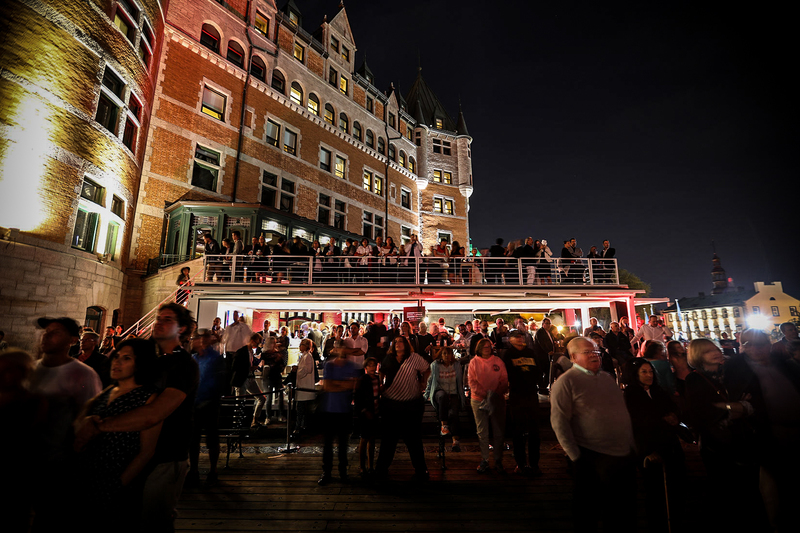 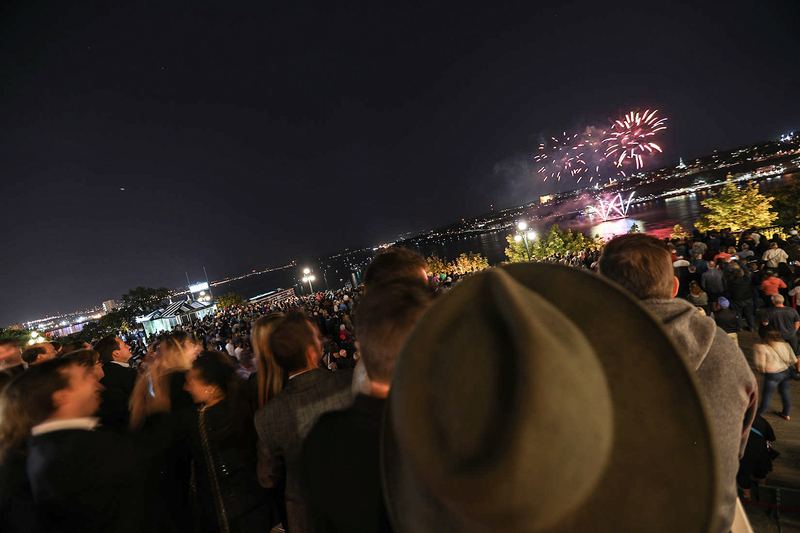 The rooftop terrace became the ideal vantage point for viewing the fireworks, in addition to its front row seat location on Dufferin Terrace where the event is held. 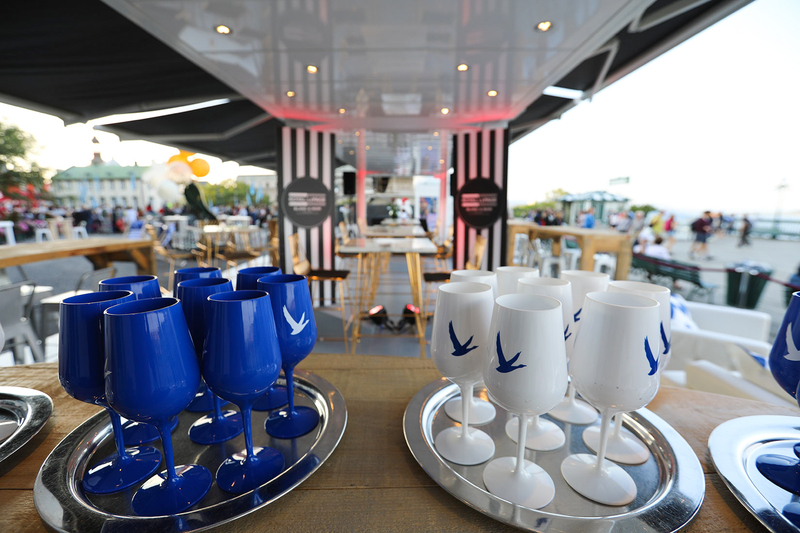 Floor extensions with awnings and satellite cocktail seating extended the pop-up bar’s footprint on the terrace. 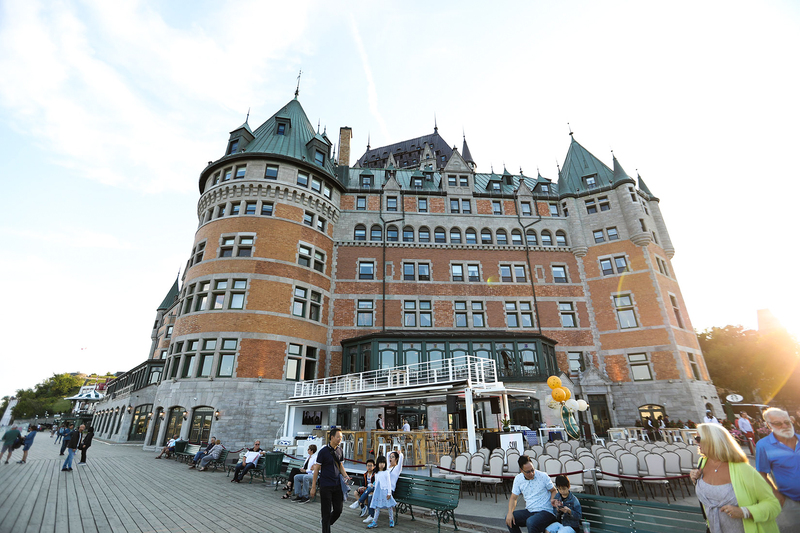 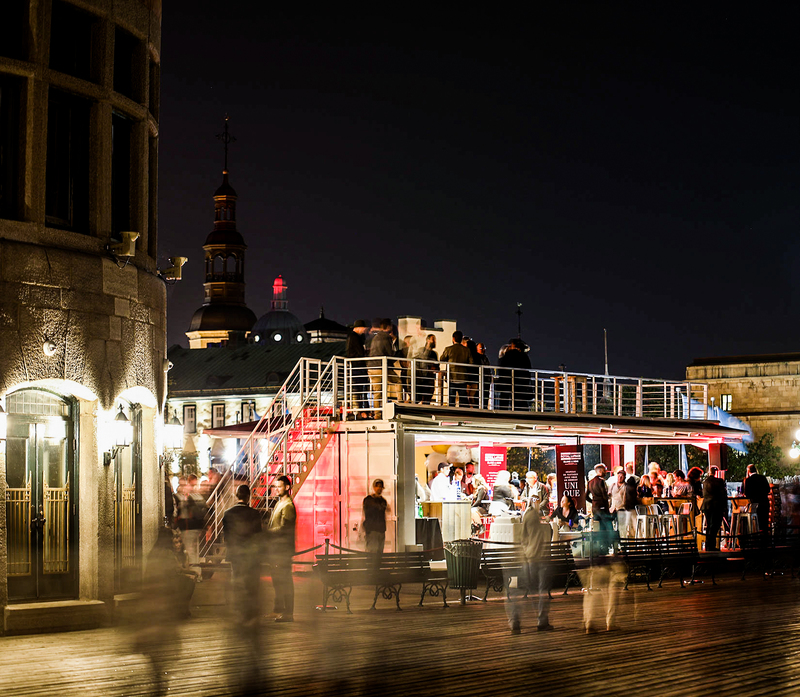 The marketing activation featured an invitation-only VIP cocktail with elegant bites to eat in a very chic atmosphere under the sultry night skies of beautiful Quebec City.